Mrs. Charlene Goodman, 64, of Niles, Ohio formerly of Morehead, passed away on Monday, February 4, 2019 at 7:34 a.m. in Continuing Healthcare of Niles. Charlene was born in Morehead, Kentucky on May 30, 1954, the daughter of Elizabeth Sparks White Chaney and the late James H. White. Mrs. Goodman attended college in Kentucky for Nursing. After moving to the Niles area, she owned and operated Little Angel’s Daycare. Charlene’s true calling in life was to care for others. 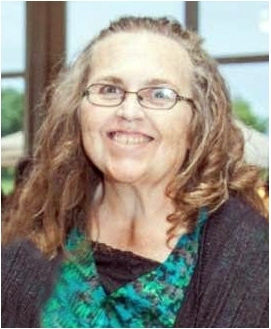 She was an active member of Deforest Road Free Will Baptist Church in Warren. Charlene was faithful and cherished the relationship she had with God. She enjoyed crafts and treating herself to a day of shopping. She loved her family, especially spending time with her children and grandchildren. In addition to her father, she was preceded in death by her husband, Larry D. Goodman, whom she married November 29, 1975, who passed away on June 24, 2018. Survivors include two daughters, Terry Goodman (Maura Haas) of Cleveland, Ohio and Carrie Maky of Bristolville, Ohio, her mother, Elizabeth Chaney of Morehead, one brother, James A. (Angie) White of Morehead and two grandsons, Zachary and Jack. Funeral services will be conducted at 1:00 P.M. Saturday, February 9, 2019 in the chapel of the Michael R. Gray Funeral Home in Morehead with Brother Ashley Kidd officiating. Burial will follow in the McClain-Arnold Cemetery, where she will be laid to rest next to her loving husband. Visitation is after 11:00 A.M. Saturday at the funeral home.